Scientists at the University of Sydney have for the first time demonstrated improvement in quantum computers by using codes designed to detect and discard errors in the logic gates of such machines. "This is really the first time that the promised benefit for quantum logic gates from theory has been realised in an actual quantum machine," said Dr. Robin Harper, lead author of a new paper published this week in the prestigious journal, Physical Review Letters. Quantum logic gates are formed by entangled networks of a small number of quantum bits, or qubits. They are the switches that allow quantum computers to run algorithms, or recipes, to process information and perform calculations. Dr. Harper and his colleague Professor Steven Flammia, from the School of Physics and University of Sydney Nano Institute, used IBM's quantum computer to test error detection codes. They demonstrated an order of magnitude improvement in reducing infidelity, or error rates, in quantum logic gates, the switches that will form the basis of fully functioning quantum computers. Dr. Jay Gambetta, IBM Fellow and principal theoretical scientist with IBM Q, said: "This paper is a great example of how scientists can use our publicly available cloud systems to probe fundamental problems. Here Harper and Flammia show that ideas of fault tolerance can be explored on real devices we are building and already deploying, today." Quantum technologies are still in their infancy but promise to revolutionise computing in the 21st century by performing calculations thought to be beyond the ability of the largest and fastest supercomputers. They will do this using the unusual properties of matter at the quantum scale that allow them to process information using qubits. These are computing elements that utilise the fact that quantum objects can exist in an indeterminate state, known as superposition, and can become 'entangled', a phenomenon describing behaviour not seen in conventional computers. However, electronic 'noise' easily disrupts these states, quickly producing errors in quantum computations, which makes development of useful machines very difficult. "Current devices tend to be too small, with limited interconnectivity between qubits and are too 'noisy' to allow meaningful computations," Dr. Harper said. "However, they are sufficient to act as test beds for proof of principle concepts, such as detecting and potentially correcting errors using quantum codes." Whereas the classical switches in your laptop or mobile phone can run for many years without error, at this stage quantum switches begin to fail after just fractions of a second. "One way to look at this is through the concept of entropy," said Professor Flammia. "All systems tend to disorder. In conventional computers, systems are refreshed easily and reset using DRAM and other methods, effectively dumping the entropy out of the system, allowing ordered computation," he said. 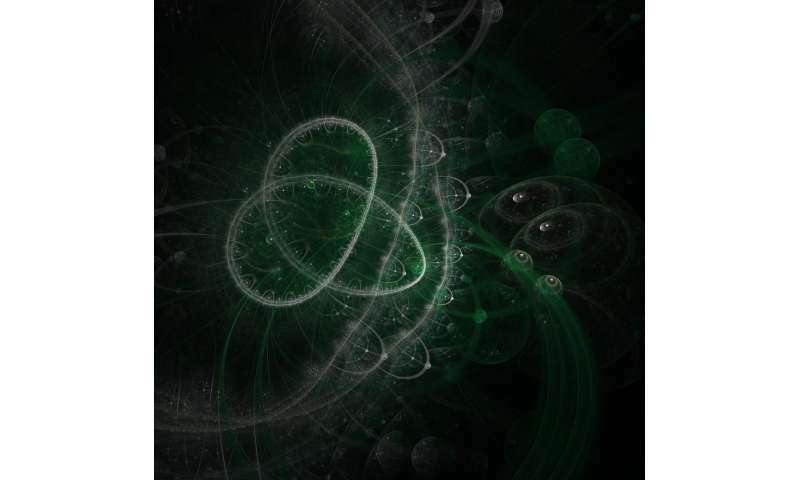 "In quantum systems, effective reset methods to combat entropy are much harder to engineer. The codes we use are one way to dump this entropy from the system," said Professor Flammia, who today was awarded the prestigious Pawsey Medal by the Australian Academy of Science. Using codes to detect and discard errors on IBM's quantum device, Dr. Harper and Professor Flammia showed error rates dropping from 5.8 percent to 0.60 percent. So rather than one in 20 quantum gates failing, just one in 200 would fail, an order of magnitude improvement. "This is an important step forward to develop fault tolerance in quantum systems to allow them to scale up to meaningful devices," Dr. Harper said. The physicists, who are both researchers with the ARC Centre of Excellence for Engineered Quantum Systems, emphasised that this was a demonstration of fault tolerant gates on pairs of qubits. "There is still a long way to go before the quantum community can demonstrate fault tolerant computing," Dr. Harper said. He said that other groups have shown improvements in other facets of quantum devices using codes. The next step is to synthesise and test these approaches on larger-scale devices of a few dozen qubits that enable the reuse and reinitialisation of qubits. Companies such as IBM, Google, Rigetti and IonQ have started or are about to start allowing quantum researchers to test their theoretical approaches on these small, noisy machines. "These experiments are the first confirmation that the theoretical ability to detect errors in the operation of logical gates using quantum codes is advantageous in present-day devices, a significant step towards the goal of building large-scale quantum computers," Dr. Harper said.